Video and Audio Downloads available now! Steven Amundson leads the Massed Choirs and St. Olaf Orchestra. 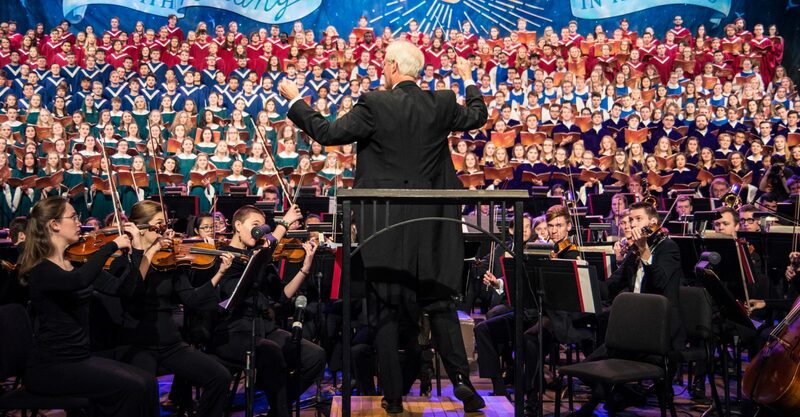 TV, Radio and Internet Streaming Broadcasts Find the 2018 Christmas Festival on radio and television stations nationwide. and it surrounds each of us joined together. we experience the light of life. we are met with the light of life. we are filled with the light of life. This is good news of great joy! 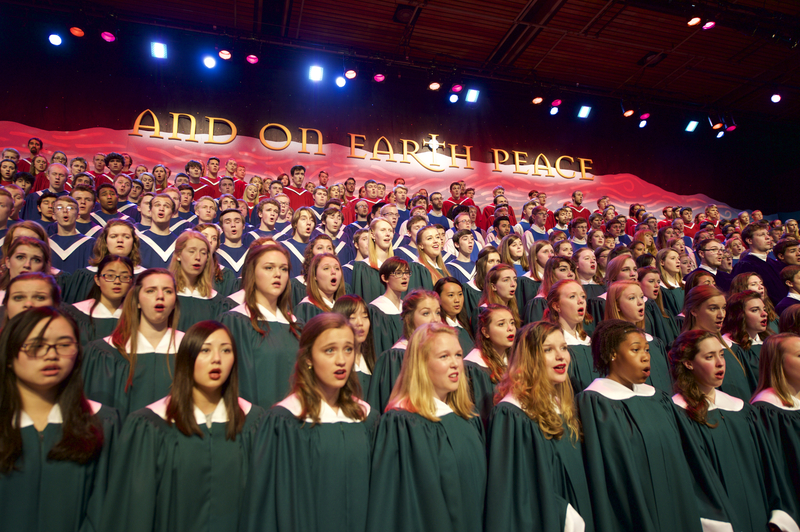 For many people, over several generations, the celebration of the Advent – Christmas – Epiphany season begins with the annual St. Olaf Christmas Festival, a century-old tradition of the college. begun as a musical program for the college community, planned and directed by F. Melius Christiansen, founder of the St. Olaf Music Department. guests will attend the Festival concerts and special events. student musicians will participate as members of the five Choirs and Orchestra. Each group participates individually and as part of a Massed Ensemble. Anton Armstrong ’78 is Artistic Director of the Festival and Conductor of the St. Olaf Choir. Tesfa Wondemagegnehu is conductor of the Chapel Choir and Viking Chorus. Therees Tkach Hibbard conducts the Manitou Singers. Guest conductor Allyss Haecker leads the St. Olaf Cantorei for this year’s performance. The St. Olaf Orchestra, regarded as one of the finest collegiate orchestras in the United States, is conducted by Steven Amundson. Visual Designer of the Festival is Christie Hawkins. Matthew Marohl is College Pastor and also serves on the artistic team.